Not necessarily a sequel as the synopsis states that this film will take place before, in between, and after the events of 300. Although the likes of Gerard Butler and Michael Fassbender will not return, we still have some of the original cast, while also welcoming newcomers to the franchise. And though Zack Snyder is not directing, he still remains highly involved with the screenplay, while also being a co-producer of the film, and that gives me the confidence that it can bring the quality and drama that 300 did. 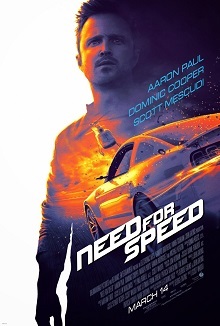 One of my top 10 anticipated films of the year, and really looking forward to seeing the hypercars in action. Very few gaming franchises have been successfully adapted into films, so this one will be facing odds against their favour, unless it can pull off a spectacle for audiences. I'm slightly doubtful with the plot at the moment, but I'm thoroughly pleased to see the cars in action in the trailers. Aaron Paul looks like a cool action hero, portraying the man seeking revenge. And I'm just really, really looking forward to this and hoping it can put on a show. Based on a novel, telling the story revolving around a teenage girl, in a world of semi-fantasy. Does that seem familiar? 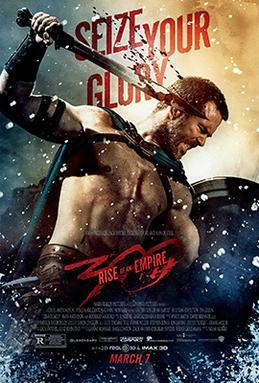 Films like these have come and gone, some failing in the box office like The Mortal Instruments and The Host, while we all could recall the success of The Twilight Saga, which focuses on love and romance, and The Hunger Games series as the other side of the coin, focusing more on the action & the revolution instead. This one looks to be somewhere in between. But the question will be, can they replicate the success of the latter franchises and gain cult followers, or fall in the valley of cliche teenage romance?